The statement from the environment minister came on a day when developed countries led by the US refused to accept poverty eradication, food security and sustainable development as an overriding requirement of developing countries under the Paris 2015 climate change agreement. The minister did sound a positive note as well in his first formal statement for the country, noting several measures and investments that the Narendra Modi government had either taken or on the anvil to take to further the climate change agenda domestically. For the international agreement, the minister set some clear red-lines. He said India was against an exante review of the contributions that developing countries make under the Paris 2015 agreement. The contributions or actions are called as Intended Nationally Determined Contributions (INDCs) and are supposed to be submitted to the UN Framework Convention on Climate Change starting March 2015. Some countries, including the EU, have demanded once the contributions are made public, countries should go through a process of reviewing these upwards to ensure adequacy. But several developing countries, including India and China, have warned that such a review without the linkage of enabling finance and technology would transfer the burden of action unfairly to the shoulders or poorer countries after 2020. 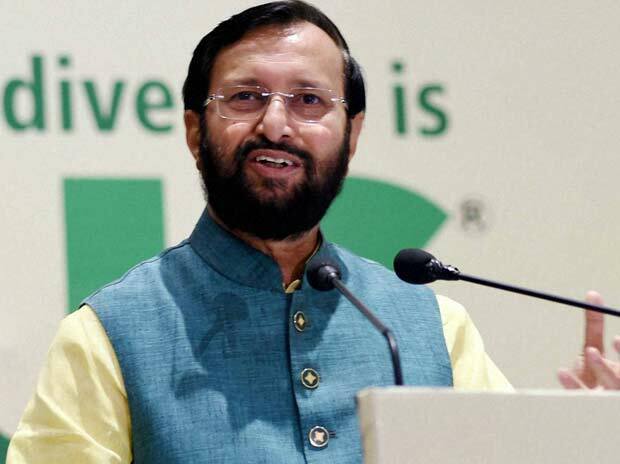 Javadekar also echoed the demands of almost all developing countries that the INDCs must be comprehensive and not only focus on mitigation. “The INDCs should include all elements including mitigation, adaptation, finance, technology and capacity building,” the minister said. The minister also brought back focus to the pre-2020 period. Developed countries were required to up their targets for this period even as the world negotiates a post-2020 regime. But the rich nations argued against any formal mechanism to review and increase their pre-2020 targets. The minister is set to meet counterparts of several developed countries for bilateral talks such as Germany, France and developing countries such as Bolivia, beside a scheduled meeting with UN Secretary General Ban Ki-moon and attending panel meetings at Lima.